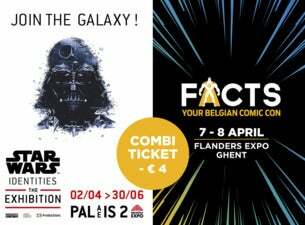 Order a combi-ticket for FACTS and Star Wars Identities and get €4 discount! Your ticket for FACTS is valid at April 7 or 8. Your ticket for Star Wars Identities is valid at a date and hour of your choice in between April 2 and June 30 2018.